So you are planning a vacation to Disney World in September 2015? September is a wonderful time of year to visit Walt Disney World. The weather is warm and a little less rainy than the summer months, the parks are still open several hours a day, and the crowd levels drop dramatically. The weather in Disney World during September is warm and mildly rainy. The average high is about 90 degrees, the average low is about 72 degrees and the average rainfall is about 5.09 inches. You can expect a little rain during your vacation, so be sure to bring your poncho! The crowds in September drop dramatically as kids head back to school. This month has the lowest crowd levels of the year. The Parks continue to be open several hours per day to start the fall season. For specific hours on each day during September, please click this link. 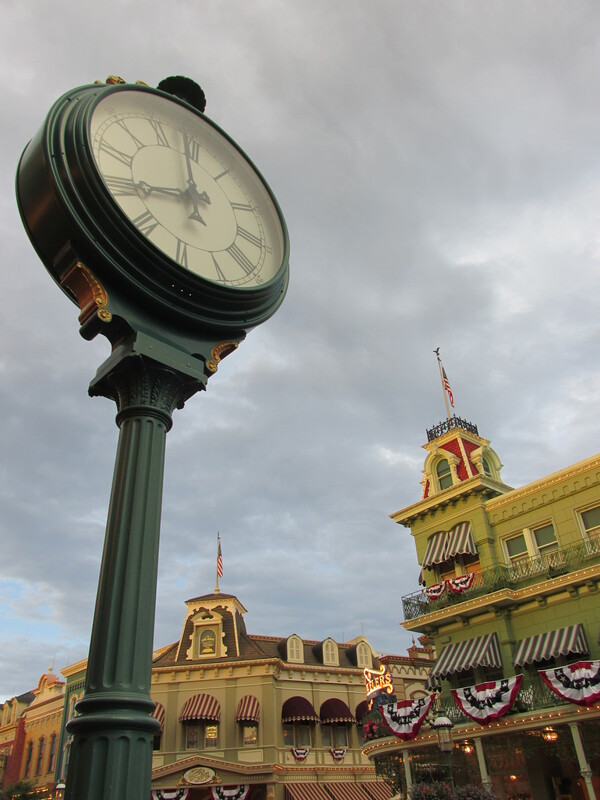 Remember that park hours are subject to change and are often adjusted two weeks prior. 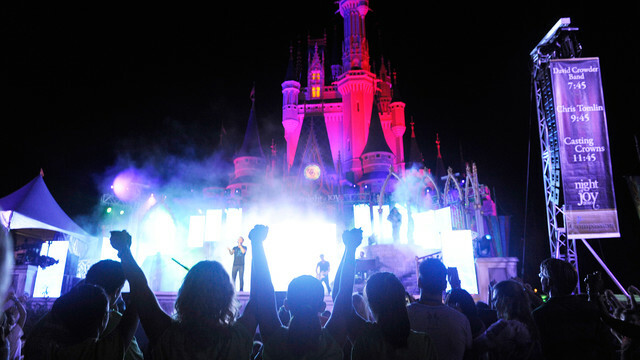 On September 11 and 12 at Magic Kingdom, soak up the spirited sounds of a contemporary music festival featuring performances by Christian superstars in rock, pop and gospel during the Night of Joy. Please click here for more information and discounted admissions. 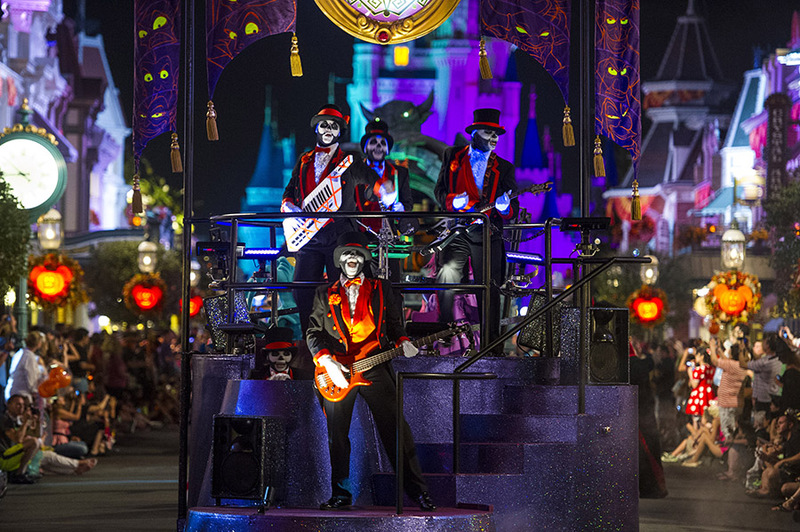 On select nights beginning in September, Mickey’s Not So Scary Halloween Party is held at Magic Kingdom. This party is a lively, light-hearted, family friendly event. There are special parades, exciting dance parties, stunning fireworks and tons of trick-or-treating stations filled with candy for everyone! Adults and children alike really get into the spirit of the event by dressing in costume, trick-or-treating and dancing the night away with all of the characters. For more information including pricing and dates, please click here. 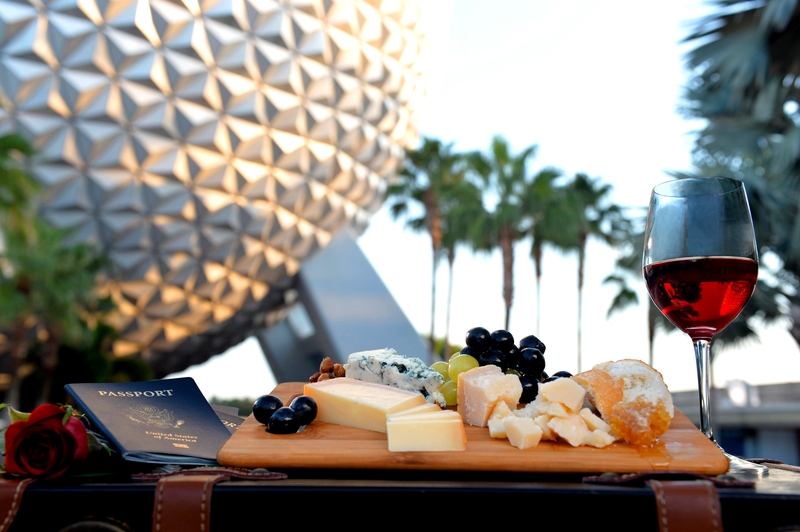 Epcot’s International Food and Wine Festival will begin on September 25. No details for the 2015 event have been released yet, but last year’s festival featured 270 chefs and included more than 25 food and beverage marketplaces scattered around World Showcase, signature dining experiences, food and beverage demonstrations and music concerts. Check back often for more updates about this fabulous celebration. In the meantime for some fun facts about the Food and Wine Festival, please click here. Downtown Disney is undergoing a major transformation to become the reimagined Disney Springs. Construction will be finished in phases with the final completion date set for Fall 2016. Make sure you have created your My Disney Experience account. If you haven’t, click here to sign up now. If you haven’t already made your dining reservations, be sure to make them now by clicking here. If you are staying on site, be sure to customize your MagicBand on your My Disney Experience account by picking the color and adding your name. 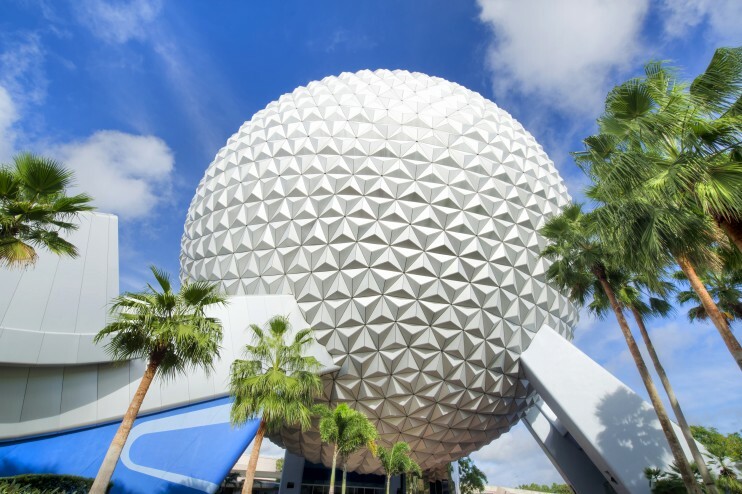 Now is a great time to research what attractions you and your family would like to see at the Magic Kingdom, Epcot, Hollywood Studios and Animal Kingdom. Because Walt Disney World is so large, it is very difficult to see everything during one trip, so be sure to get everyone’s top priorities. This is also a great time to begin looking at menus for counter service restaurants so that you have an idea of which locations serve foods that your entire family will enjoy. Whether you are staying on site or off-property, be sure to purchase your admission tickets and link them to your My Disney Experience account. Once your tickets are linked and at exactly 60 days in advance of your check in date (midnight EST time) if you are staying on site or 30 days in advance for all other guests, login to your My Disney Experience account and book your Fastpass+ reservations. If you are staying on site, be sure to check in online at 60 days out from your arrival date. Double check your flight times and if you will be using Disney’s Magical Express for your airport transportation make your reservation at least 60 days in advance by clicking here. It’s never too early to start creating a packing list so that you don’t forget anything. Need more help planning? 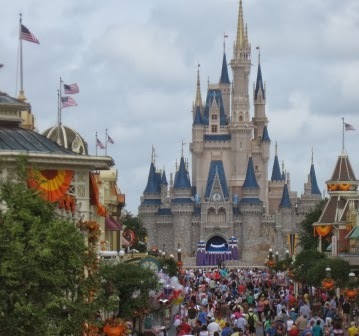 Please check out my new book 501 Ways to Make the Most of Your Walt Disney World Vacation, ask a question in the comments section, or take a look at the Planning section here. Disney Vacation Planner Jennifer Hardy and I have teamed up to create a new Facebook Group called Next Disney Vacation! It is the perfect place to talk about your next Disney vacation, ask your questions, get them answered, and share the magic. Everyday you’ll find posts, photos, trivia, tips, and more that we find all throughout the Disney Universe. If you’re counting the days until your next Disney vacation, we would love to have you join in the fun! Please click here to be a part of our group! Would it be good for me to make reservations for 3 people for be our guest restraint for our trip in September-after Labor Day.